HQ Trivia, the TV-style game show in an app, is starting to make money. The company this week is rolling out its first sponsored games, including a $3 million deal which includes sponsored games from Warner Bros., as well as a sponsored game from Nike, arriving today. According to the report – which HQ Trivia declined to comment on at the time – the overall deal with Warner Bros. is worth $3 million, and will include a $250,000 jackpot on a sponsored game that promotes “Ready Player One,” airing on Wednesday. The jackpot would be the largest ever seen on the HQ Trivia app, AdAge noted. (HQ Trivia confirmed this is the case, in an email to TechCrunch.) The biggest jackpot the app had seen until now was the $50,000 prize from the game that aired on March 4, 2018, the night of the Academy Awards. The game also saw its peak audience that night, with 2.18 million people logged on at the same time, the company said. Today, HQ Trivia teased another big name sponsor, Nike, in another tweet. “HQ x Nike Airing 3.26,” is all the tweet said. Nike confirmed to TechCrunch it will be hosting a surprise game today, on Air Max Day – Nike’s made-up shoe-celebrating holiday. Nike’s game will offer a $100,000 prize pot, along with some sort “prize that money can’t buy” for 100 winners. While neither HQ Trivia nor Nike would provide more information on what that prize may be, folks on Twitter are speculating it’s some sort of special edition shoe to tie-in to Air Max Day. The Nike game will be a separate, surprise game that airs in addition to its regular games, HQ Trivia tells TechCrunch. Typically, HQ Trivia runs games at 3 PM EDT on weekdays and 9 PM EDT every day. 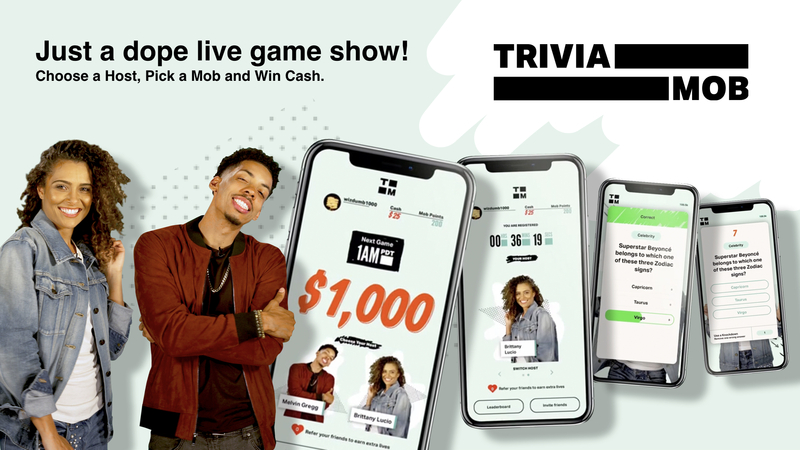 These sponsored game launches are notable because they represent HQ Trivia’s first serious attempts at generating revenue. But they don’t come as a surprise. The company has said for some time that it would collaborate with brands as a means of making money. For example, it told Variety in December that the focus with its brand deals would be on enhancing gameplay. And when HQ Trivia recently announced its $15 million round of funding, it again reiterated how it would work with brands to sponsor questions or provide bigger jackpots in the future, instead of just running ads. However, with bigger jackpots, there comes a bigger risk of cheating – something that’s been an increasing concern thanks to the numerous bots that have been built to help people answer questions accurately. In fact, HQ Trivia recently kicked the remaining player out of a $25,000 game, which it followed up by tweeting that moderators kick people out who violate its terms and contest rules. The company never officially confirmed what the players did, but the general consensus is that they were caught cheating. The HQ Trivia app is a free download on both iOS and Android. The Nike game was won splitting the prize money four ways ($25,000 each). The company gave away 100 pairs of Air Max 270 sneakers with an HQ logo on them. HQ Trivia was removed from the App Store following a controversial ending to a $25K game on Sunday night, according to Business Insider. HQ has introduced a new high-stakes version of the game where one winner takes home a larger prize. However, on Sunday night, no one won the $25K. The company posted on its Twitter account that moderators kick players who break the company’s TOS. HQ would not be specific about what rules were broken, but BI reports that Twitter users had suggested it was due to jailbroken iPhones, which could be running software that gives users a leg up in the trivia competition. For those who missed the game last night, two players remained for the final question. One was removed due to breaking the TOS, and the remaining player missed the last question, resulting in no winner. Cheating seems to be a growing problem with HQ Trivia. There are countless guides online about how to cheat, including obvious methods like using voice dictation and a second device to Google search each question. The time limit makes that more difficult, but not impossible. But as HQ grows its prize pot — the original prize was $1000 — cheating on the platform, and the methods by which people cheat, is only bound to intensify. Even more bizarre, the app was seemingly removed from the App Store following the game. It has since re-appeared on the App Store. HQ says that last night’s game and HQ’s removal from the App Store are unrelated events. A spokesperson from the company confirmed Mashable’s report that the app was removed because of a clerical error. Long story short, someone at HQ forgot to update the expired credit card info in the developer portal of the App Store. App analytics firm Apptopia confirmed that HQ Trivia was removed from the App Store briefly, and that it has been falling in ranking for the past 30 to 60 days. We reached out to Apple and haven’t heard back. We will report back as soon as we know more.